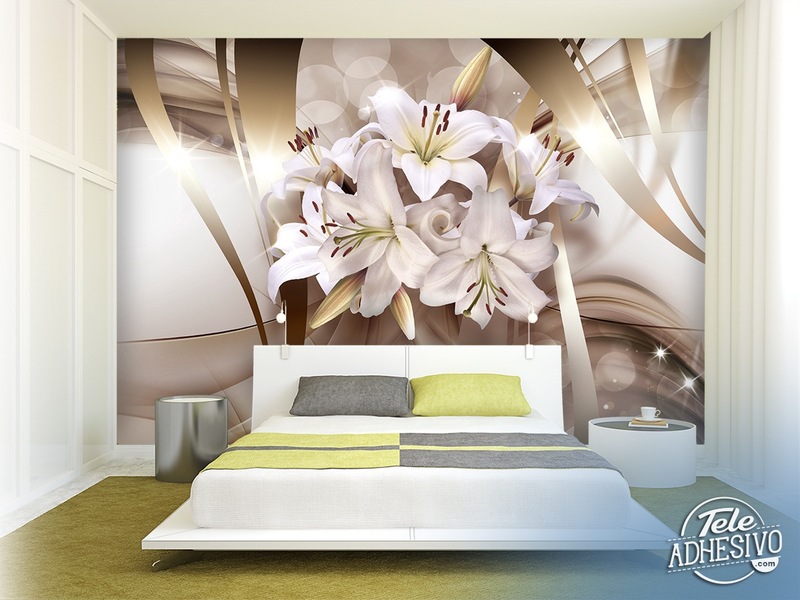 Wall mural Lilies of peace. Combination of a bouquet of white lilies with an abstract background of golden and white bands. 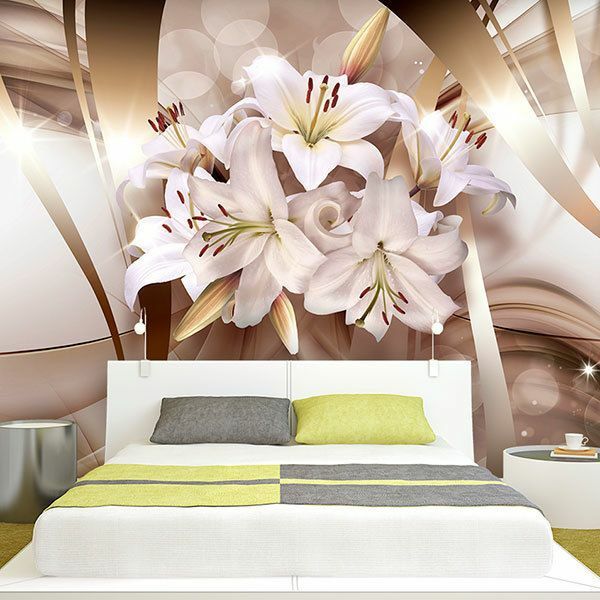 The image is full of reflections, flashes and idealized forms. 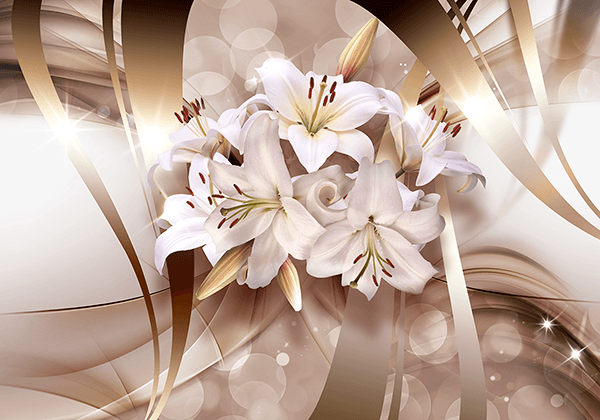 In the center, a beautiful group of lilies transmit the reflection of happiness in a couple.